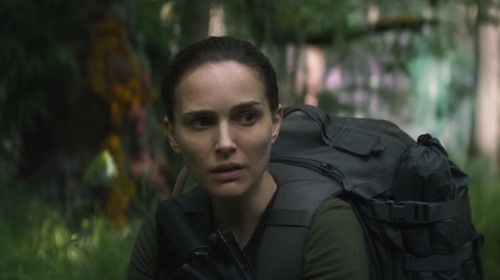 Director Alex Garland’s sci-fi thriller Annihilation, currently streaming on Netflix in the UK, will be shown in selected cinemas later this month. The director's follow-up to the acclaimed Ex Machina stars Natalie Portman and Oscar Isaac. You can read my spoiler-free review here. To find out more and to book tickets visit Everyman. Constantine was a fun, if short-lived, series on NBC. Matt Ryan made the role his own and DCTV fans (myself included) were delighted when Constantine cameoed in Arrow season 4. 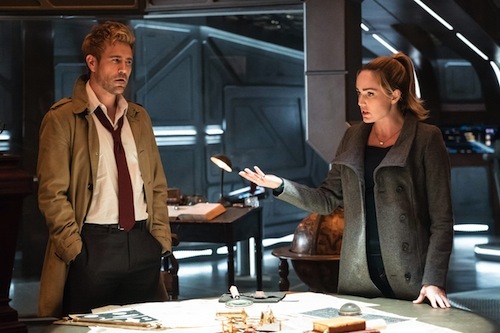 The character most recently returned in the midseason premiere of DC's Legends of Tomorrow, cementing the series' status as my favourite Arrow spin-off after its startling season 2 soft reboot into an unmissable time-travelling caper. Matt Ryan is expected to become a cast regular for season 4. The CW has not announced a renewal, but there's every reason to assume it's a done deal. Good times! Indiana Jones and the Kingdom of the Crystal Skull was the weakest instalment of the beloved matinee-inspired franchise. 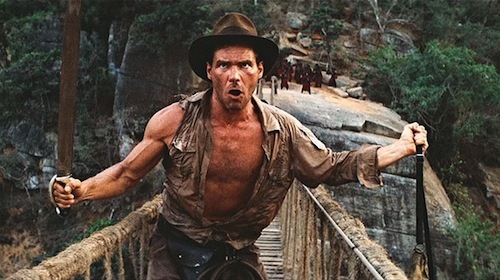 Here's hoping Spielberg can channel his blockbuster movie mojo and rejuvenate the iconic archaeologist at Disney. Are you looking forward to new Indy adventures? Let me know in the comments below. Director Alex Garland's follow-up to his claustrophobic sci-fi masterpiece Ex Machina splices together DNA from Avatar, John Carpenter's The Thing, Apocalypse Now and Alien. Annihilation is a controversial adaptation of Jeff VanderMeer's award-winning novel, which I've yet to read so was free of any preconceptions. The controversy derives, for the most part, from Paramount's decision, in the wake of Mother! 's, directed by Darren Aronofsky, tepid box office, not to release the movie theatrically outside the US and China due to a poor test screening, and the director's reluctance to dilute this cerebral and profoundly ambiguous sci-fi thriller. So, cinema's loss is Netflix's gain. Netflix completes a trifecta of streaming sci-fi movies day-one starting with The Cloverfield Paradox, Duncan Jones' misfiring passion project Mute and now Annihilation starring Natalie Portman and Oscar Isaac. Annihilation is Netflix's first bonafide sci-fi classic, which will be deconstructed, frame-by-frame, by cinephiles for decades to come. It's a puzzling sci-fi thriller paradox best enjoyed sans spoilers. So, in the service of that, I won't say too much. However, fellow Doctor Who fans may recognise an indirect nod to Tom Baker's classic gothic serial Horror of Fang Rock. From Natalie Portman's always compelling central performance as Lena, a wife in search of answers as to what happened in the Shimmer to her soldier husband, played by Oscar Isaac, to a sense of wonder juxtaposed with brutal horror. Annihilation's nuanced images, poetic musings and evocative soundscapes will haunt you long after the end credits have finished rolling and for that, I applaud Alex Garland. Annihilation earns a deserved place alongside Arrival and Blade Runner 2049 in the Hollywood pantheon of thought-provoking filmmaking in an era dominated by bombastic multi-billion-dollar franchises. It’s available to stream on Netflix. Westworld season 2 starts on HBO and Sky Atlantic this April. 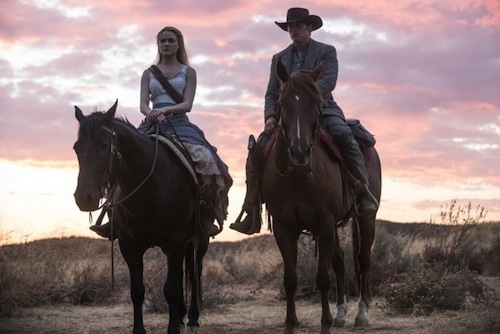 HBO's released new promotional photos depicting returning characters including Dolores (Evan Rachel Wood), Teddy Flood (James Marsden) and William (Ed Harris). The first season, with sweeping vistas worthy of an IMAX screen, captured my imagination in 2016. So much so, I've rewatched it twice. Spoiler alert for folks who haven't watched season one of HBO's lavish sci-fi reboot. 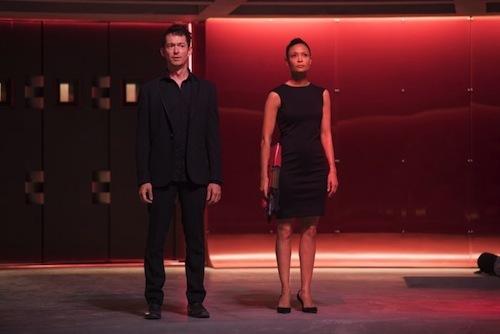 The second season picks up from the climatic first season finale with the self-aware androids running amock inside the theme park and the Delos corporation struggling to reassert control over its creations. Westworld season 2 begins 22nd April on HBO and 23rd April on Sky Atlantic. Following director Steven Spielberg's surprise appearance at SXSW, and premiering Ready Player One to a gathered audience, Warner Bros. has released the final trailer. Dreamer. Spielberg's upcoming movie is replete with infinite references to the geek galaxy of the eighties. However, the Oscar-winning director was unable to secure rights to include the granddaddy of them all. Star Wars. This I did not foresee, Padawan. Spielberg has a storied history with the franchise. George Lucas, his friend and Indiana Jones collaborator, created the space opera and Amblin co-founder Kathleen Kennedy is Lucasfilm president at Disney. 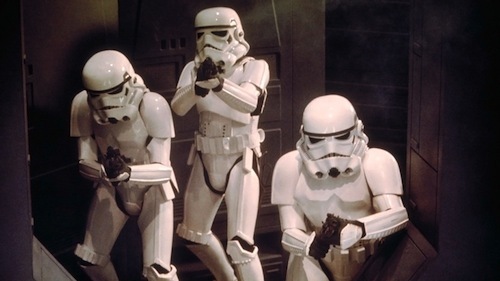 "We couldn't get any Star Wars rights," Spielberg revealed at a press conference. "[We tried] very hard. They wouldn't give up the Star Wars rights." 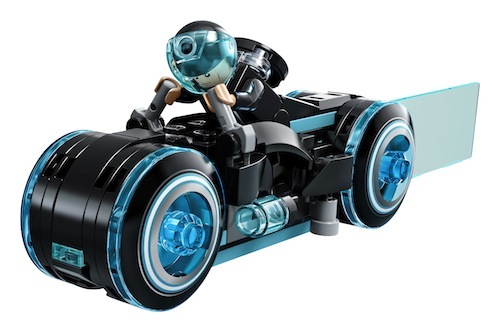 Last weekend I rewatched The LEGO Batman Movie on Sky Cinema and was struck by how cleverly it explores Batman's relationship with The Joker in stark contrast to the current live-action DC Comics cinematic universe at Warner Bros. 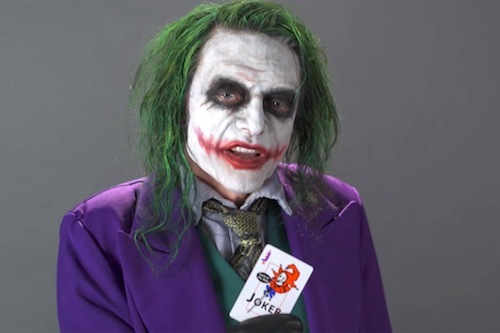 Coincidentally, Tommy Wiseau (The Room) has published an audition tape for The Joker online. Wiseau creepily distils several famous incarnations of Batman's ultimate nemesis. Ron Howard's Solo: A Star Wars Story is in cinemas 25th May. 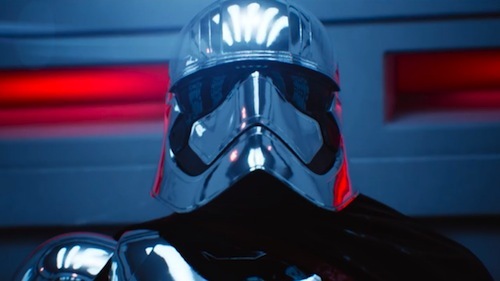 In anticipation of the upcoming Star Wars spin-off, Saturday Night Live (SNL) has produced a new skit as part of its Cut for Time digital series. 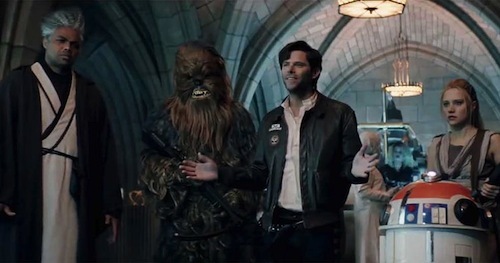 In the Star Wars skit JJ Abrams, director of The Force Awakens and upcoming Episode IX, introduces a first look at the summer 2019 movie The Mos Eisley Five: A Star Wars Story, starring Mikey Day, host Charles Barkley, and Kate McKinnon. 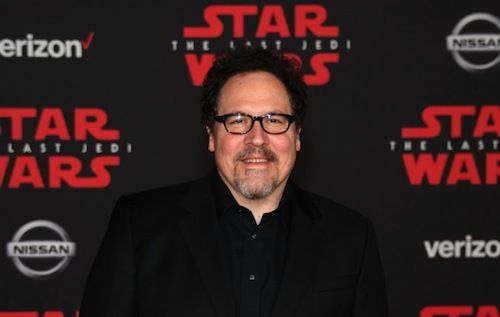 Actor-director Jon Favreau, who kick-started the Marvel Cinematic Universe (MCU) a decade ago with Iron Man, is executive producer and writer for Lucasfilm's upcoming Star Wars live-action series. There has been a backlash, in the wake of the announcement, citing a lack of diversity. However, Favreau is an exciting choice and has been previously linked to the Star Wars sequel trilogy and spin-off movies. This is the guy who gave us Elf and an award-winning live-action adaptation of Disney's The Jungle Book. The upcoming live-action series will be available exclusively on DisneyLife late 2019. Disney's streaming service was soft-launched in the UK in 2015 and is now available in Ireland before being rolled out internationally. Favreau appears next in Solo: A Star Wars Story this May. 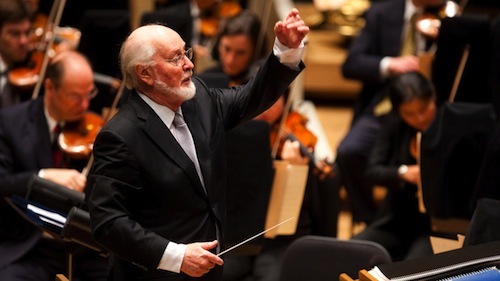 During a talk with Jim Svejda for KUSC Interviews, award-winning Hollywood composer John Williams hinted Star Wars: Episode IX, directed by JJ Abrams, will be his last for the space opera franchise. 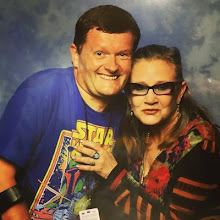 “We know JJ Abrams is preparing Star Wars: Episode IX now, that I will hopefully do next year for him. I look forward to it. It will round out a series of nine. That will be quite enough for me." 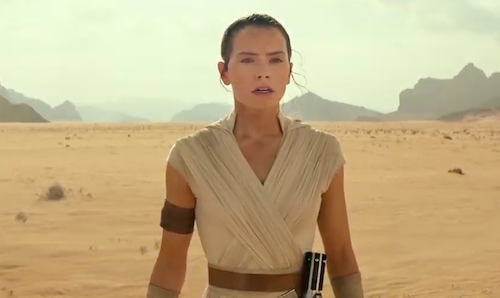 Williams, most recently Oscar-nominated for The Last Jedi, has composed music for the original, prequel and sequel trilogies. Episode IX would be the culmination of George Lucas' original vision and a poignant bookend to a stellar body of work spanning over forty years. Williams' symphonic sound is synonymous with the Star Wars franchise, but Michael Giacchino performed musical duties with aplomb for Rogue One: A Star Wars Story despite only having a month or so to write music after Alexandre Desplat departed the spin-off due to a scheduling conflict. Fans can hear Williams' Han Solo theme in the upcoming Solo: A Star Wars Story this May. Oscar nominee John Powell is composing the rest with a guitar-brass-infused score. Lost in Space should fill the void left by Star Trek: Discovery on Netflix this April. Watch the first full trailer to see Will Robinson's extra-terrestrial Geth-like (Mass Effect) guardian - a far cry from the beloved 'bubble-headed booby' of the original sixties sci-fi series. There's a palpable sense of wonder and discovery permeating Netflix's lavish reboot. Something absent from most Hollywood sci-fi franchises. Stream Lost in Space from 13th April only on Netflix. In anticipation of director Steven Spielberg's Ready Player One releasing in cinemas this month. 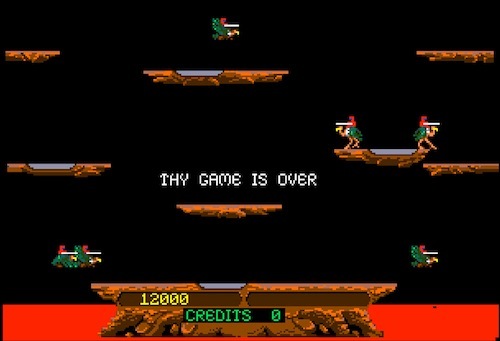 Fans can play arcade classics Joust, Tapper, Sinistar and Robotron: 2084 on the official website. 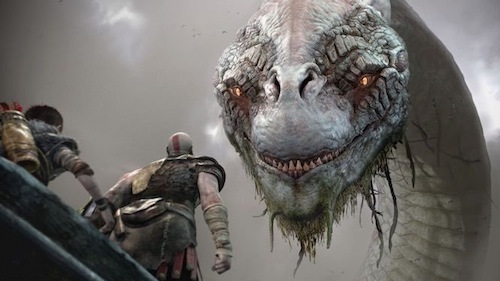 More games are teased. "The film is set in 2045, with the world on the brink of chaos and collapse. But the people have found salvation in the OASIS, an expansive virtual reality universe created by the brilliant and eccentric James Halliday (Mark Rylance). When Halliday dies, he leaves his immense fortune to the first person to find a digital Easter egg he has hidden somewhere in the OASIS, sparking a contest that grips the entire world. When an unlikely young hero named Wade Watts (Tye Sheridan) decides to join the contest, he is hurled into a breakneck, reality-bending treasure hunt through a fantastical universe of mystery, discovery and danger." Ready Player One is in cinemas 29th March. Seventies sci-fi classic Logan's Run is getting a modern remake from director Simon Kinberg (X-Men: Dark Phoenix) and The Hunger Games screenwriter Peter Craig. This version of Logan’s Run will feature a woman in the lead role. Warner Bros. is hoping for another successful revival in the wake of Blade Runner 2049. Like The Planet of the Apes (coincidentally also scored by Jerry Goldsmith), I saw the Logan's Run television series spin-off, written by Star Trek alum including Harlan Ellison, before seeing the theatrical original on rental home video in the early eighties. I wasn't prepared for its chilling dystopian depiction of a future foretelling mandatory euthanasia at the age of 30 (21 in the original novel) due to dwindling resources. The original film centred on Logan (Michael York), a Sandman tasked with terminating runners evading 'renewal' by Carousel, who ultimately sympathises with the rebels and escapes with Jessica (Jenny Agutter). The movie's cliffhanger ending suggested further sequels, and I was disappointed to learn that none were made. So, what do you think about a Logan's Run reboot with a female lead and who would you like to see in the titular role? Let me know in the comments below. PlayStation exclusive film noir Heavy Rain (2010) remains one of my favourite games from last gen and I'm looking forward to David Cage and Quantic Dream's next opus. A neo-noir thriller 5 years in the making - it began life as a PS3 tech demo entitled "Kara". The latest PlayStation exclusive taps into the familiar trope of sentient artificial intelligence and its moral implications, most recently explored in AMC's Humans, HBO's Westworld and Blade Runner 2049. 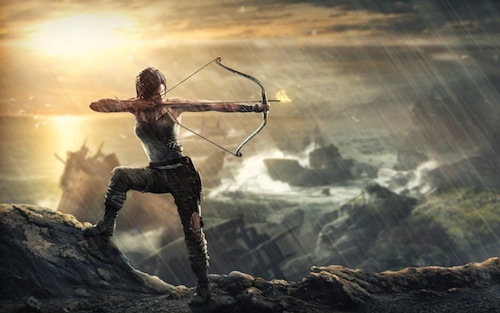 It remains to be seen whether it's more QuickTime (QT) events sans motion controllers, but I'm fine with that within the context of compelling character-driven choices and a branching storyline. It'll pass the time whilst waiting for CD Projekt Red's Cyberpunk 2077. 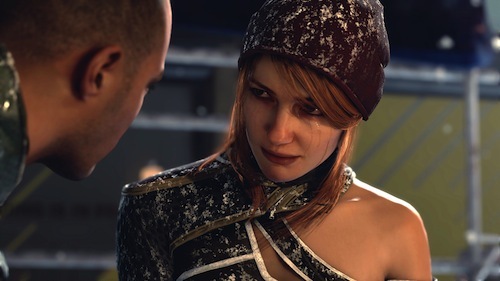 Detroit: Become Human is released on 25th May. Pre-order from Amazon. This is an affiliate link and as such, I may receive compensation for any referrals (at no extra cost to yourself). The series finale of Star Wars Rebels is 5th March on Disney XD. After 4 thrilling critically-acclaimed seasons, the crew of the Ghost face their final challenge in an epic 90-minute special. In A Fool's Hope - Ezra calls in every favour he can to rally together a ragtag group for a seemingly impossible fight against Governor Pryce and her Imperial forces. In Family Reunion – and Farewell – Ezra and team take drastic action to free Lothal. 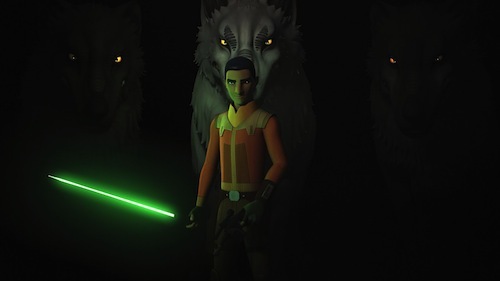 Star Wars Rebels quickly stepped out of the shadow of Cartoon Network's The Clone Wars and became a fan favourite filled with guest stars from the franchise's storied history. From James Earl Jones reprising the role of Darth Vader to Frank Oz as Yoda. 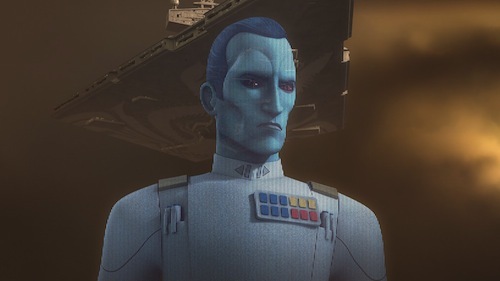 Bringing back Grand Admiral Thrawn (Heir to the Empire) was an inspired move, and the Ghost can be seen in Rogue One: A Star Wars Story. What will you miss about Star Wars Rebels? Let me know in the comments below.